The French President stressed that he does not support the Kremlin's policy regarding Ukraine. 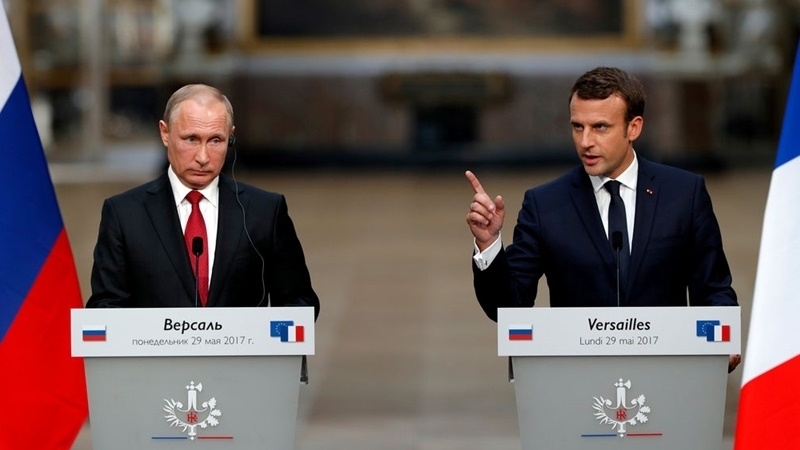 French President Emmanuel Macron has serious disagreements with Russian President Vladimir Putin regarding Ukraine and "will not allow him to get away with anything." Macron made a corresponding statement in an interview with Reuters. "I speak with everybody. Very directly and very frankly... On Ukraine, we have major differences with Vladimir Putin. I take note of it. France won’t let him get away with anything," Macron said. It may be recalled, that France is a party to negotiations in the "Norman format" to resolve the conflict in the Donbas. Earlier, August 28, German Chancellor Angela Merkel and French President Emmanuel Macron called on the Presidents of Russia and Ukraine, Vladimir Putin and Petro Poroshenko to fulfill their obligations to cease fire in the Donbas. The joint statement of the European leaders notes that since the last telephone conversations of the leaders of the "Normangy Four" countries, the security situation in eastern Ukraine has not improved significantly.